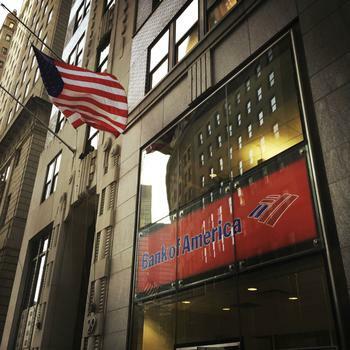 Hand-wringing is the exercise du jour at Bank of America (BOA) and JPMorgan Chase thanks to a group of bank customers filing a class action lawsuit which claims the two banking giants sold the personal information customers gave as a part of acquiring a credit card. And, as most consumers know, when you jump through the hoops of a credit card application, there’s virtually no personal data that’s kept out of the loop. Names, addresses, Social Security numbers, addresses, credit history, and bank accounts all come into play. The capper on the banks’ personal data practice in this situation is that the credit card holders have to continue to provide this information to the financial institutions as long as they use their credit cards, according to the lawsuit. “Plaintiffs’ [personal financial information] is valuable to Defendants,” contends the plaintiffs. The plaintiffs feel that their personal profile is of value to the banks and that the banks have profited off that data without the user’s permission without sharing part of that profit with the credit card holder. “Plaintiffs have a property interest in their own PFI regardless of what Defendants may do to or with it once Defendants have it in their possession, however it may be de-identified and/or aggregated for sale,” alleges the suit. Haven’t the banks learned their lesson yet? JPMorgan Chase & Co. paid credit card customers $100 million as part of a class action lawsuit settlement, which resolved allegations that it improperly increased minimum payments as a means to generate higher fees, according to TopClassActions. And, in an ironic twist of misuse of consumer data, JPMorgan Chase was fined $4.6 million in 2017 for not guaranteeing accuracy of consumer information. Bank of America has also experienced its fair share of trips to the courthouse. Just last year, the bank paid $1.9 million to settle a consumer protection lawsuit alleging that it did not disclose that phone calls with consumers were being recorded. BOA was also part of the largest civil fine in American history when it agreed to pay a $16 billion fine for mortgage fraud.